Darren brings more than 20 years of financial advisory experience to his lead role with the Cameron Wealth Management Group. Darren's highest priority is the well-being of clients and their families, with a focus on providing personalized wealth planning solutions, particularily for clients seeking tax-efficient estate planning strategies. Darren's commitment and dedication is evident in the consistent growth of our business, mainly through personal recommendations from satisfied clients. An award winning advisior, he is consistently recognized by his peers for his excellence in all aspects of the investment advisory business. Darren also is a licenced insurance representative enabling him to incorporate insurance solutions into his clients' overal wealth strategies when appropriate. 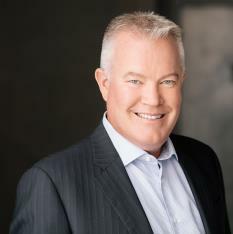 After graduating from the University of the Fraser Valley in 2002 with a Bachelor of Arts, Chris began his career in investment and wealth planning. He then joined the Cameron Wealth Management Group in the spring of 2005. Chris enjoys assisting clients to develop investment and estate planning strategies and is dedicated to making the journey enjoyable for our clients. A Life Insurance Advisor with TD Wealth Insurance Services, Chris can provide insurance strategies as part of an overall wealth plan. He is currentlyworking toward his Certified International Wealth Manager designation. Chris and his wife have two young kids and enjoy camping, snowboarding and many other pastimes that involve the great outdoors. Sam began her career in the industry in 1997 and joined the Cameron Wealth Management Group in 2002. Over the past 10+ years she has earned a reputation for responsive, knowledgeable client service and overall business expertise. In 2008, she was proud to win the TD Star** award. Sam handles our team’s client reporting, compliance and administrative matters. She helps to ensure that our operations run smoothly and that our clients receive excellent service and personal attention. Sam actively enjoys outdoor pursuits and values family time spent with her husband and two teenagers. **The TD STAR Awards honour employees who have delivered exceptional results and demonstrated STAR qualities – Service, Teamwork, Achievement and Results throughout the year. In addition, recipients have met challenging criteria by proactively driving improvements to productivity and efficiency, contributing to the business and developing and implementing key business strategies. Sylvie has worked in the financial arena since she moved to BC from Québec in 1979. Fully bilingual, she began in banking, and then moved to the investment side of the industry in 1994. Sylvie works closely with Sam on all client reporting, compliance and administration, helping to create a seamless experience for our team’s clients. She believes in leading a balanced life and fills her private time with plenty of books, movies and especially enjoying awesome road trips with her husband, Gerry.